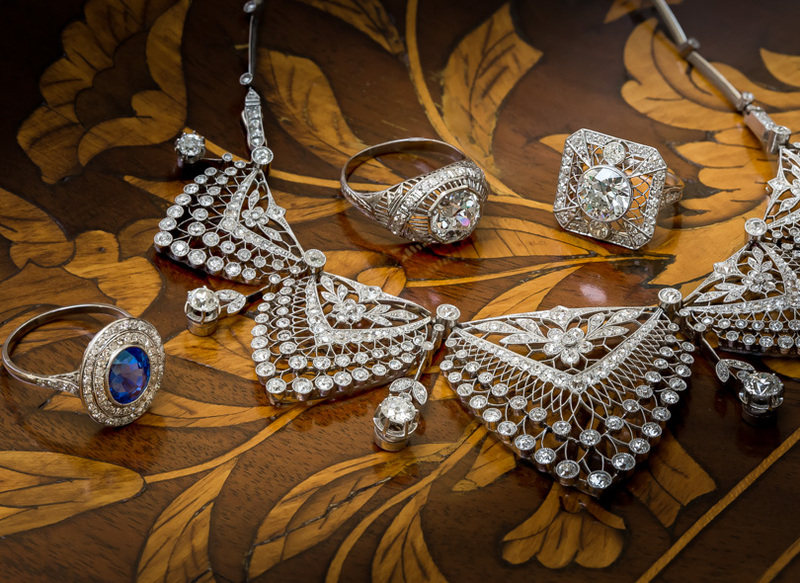 A tantalizing trio of bright and shining diamonds, centered by a .80 carat European cut and flanked by half carat old mine cuts (together weighing 1.80 carats) radiate shoulder-to-shoulder within an artfully designed mounting incorporating both Edwardian and Art Deco design elements. Die-struck and hand-finished in platinum, circa 1920s-30s. Currently ring size 6 1/2.